Dale and Heather share all their years of heartache, hardships and struggles and how they worked hard and transformed them into their foundation, their strength and eventually their passion in wanting to help others bring their marriage to the next level. Being married since 1999 and parents to now 6 kids, they almost signed those divorce papers but gave it one last shot and have a pretty great marriage. And now they want to share those secrets with you! 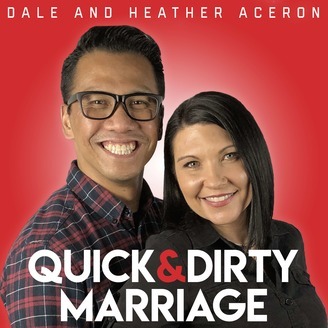 These Quick and Dirty Marriage Podcast Episodes are about 10 minutes long, they're funny, and contain practical and effective ways that you and your spouse can start applying TODAY! 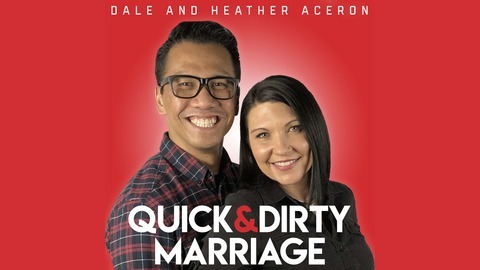 quickanddirtymarriage.com.